*This will be a long day so come prepared with snacks, food, and cold/wet weather clothes. 39 bands will be performing between 10am and 6:30pm. Awards are at 7:00 immediately after the OSU band performance. You will have hours on your own at the stadium so please be on your best behavior. *If you're not riding the bus home, please get a note to me before we depart at 7:45am. If would like to leave the contest site with YOUR parent to eat lunch or an afternoon snack, that is permitted, but you must submit a note to Mr. Keller no later than 7:45am. You may not leave the stadium site with anyone but YOUR OWN PARENT. 5th Band Starts Next Week! Bring your instrument and book. If you do not have a book yet, bring $10 and one will be provided for you. Percussionists should bring their entire kit...but only to this first class. Let's get this band thing going! Be sure to put your prize code on your order form! 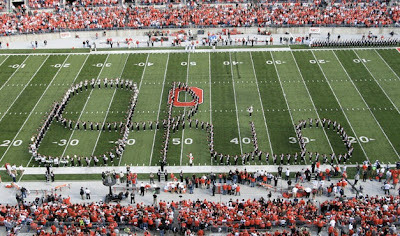 All band students in grades 6-8 and choir members in grades 9-12 will be taking a field trip on December 4 to see the OSU Musical Celebration Youth Concert! Click the image below to see the details and even print this permission slip. The slip and $5 (check to "Fairbanks Band" or "Fairbanks Choir" preferred, cash acceptable in a sealed envelope) must be returned to Mr. Keller or Mrs. Cooper by November 6. 5 to 7 parent chaperones are needed and attend free of charge. These chaperone spots are on a first come, first serve basis. Get your slip and money in ASAP! 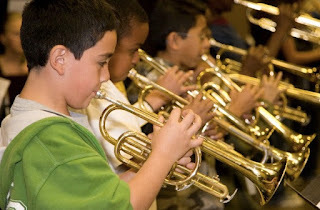 The Fairbanks Music Department is the largest department in the school, serving over 220 students in eight grades. It takes money to support our musical efforts, and student-raised money is a substantial part of that. 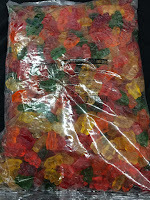 Our goal this year is to raise $6000 from this sale. This is the ONLY fundraiser for the music department as a whole this entire school year. This money is used for items like music, supplies, repairs, transportation, instruments, rewards, uniforms/apparel, and many other day-to-day expenses. It is asked that all members of the music department help in this important fundraising event. 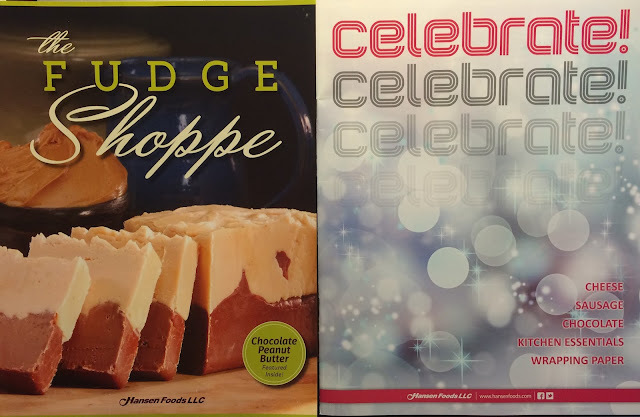 Students are asked to sell at least 10 items from the sales brochure, and are rewarded with prizes and cash on many different levels, including a day off pizza and movie party for sections of each group who sell the most per person! Before halftime, help move pit into position. Screen carriers take your prop to the back sideline. At halftime, instructions for placements of props will be given. Screens will be placed on 50, 40's, and 30's. 50 yard line is 8 steps down from the back hash mark. 40's will be 12 steps down. 30's will be four steps behind the front hash marks. After the show, exit forward with the band. Pit needs moved back to the stands. Meet at the trailer in the parking lot at 1:30 at the latest. Bring board onto field from the back sideline to its appropriate position (see above) when I give the signal. Follow band back to trailer/bus following performance. 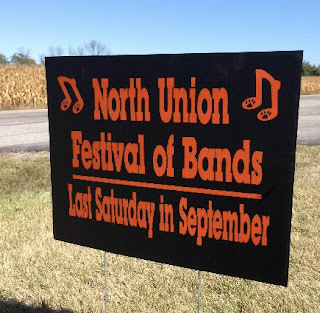 The final plans for the NORTH UNION FESTIVAL OF BANDS are complete.The festival will take place in the athletic complex at North Union High School on Saturday, September 27, 2014, beginning at 6pm.Below are some last minute details that should help the evening to progress smoothly. ARRIVAL Please plan on arriving at such a time that you will be warmed up, dressed and ready to line up for the entry.We plan to parade into the stadium at 5:40 pm.The suggested arrival time is 5:00.Upon arrival, your band will have a chaperone assigned to guide you throughout the evening.This chaperone will meet you at your bus.